When it comes to deciding where your business-critical data physically resides, there are several important factors to keep in mind, and data center location is one of them. Where your data center is situated will impact your choice of colocation facility. Here are some things to consider. Colocation in its most basic form is your hardware, your software, and your data residing in someone else’s facility. Whether this is your primary or secondary site, the cost of maintaining a secure, climate controlled, well-powered, redundant, and reliable data center is significant. But not everyone has the resources or desire to manage any or all of that in-house. Despite the convenience of VPNs, Remote Access, and Monitoring, IT exists in the physical realm and sometimes needs hand-on attention. Thus, a key factor in finding the right partner for your colocation is the geographic location of the data center itself. While this question seems simple, the answer is not. Surprisingly, the optimal distance between your business’ headquarters and your primary/secondary data center site (which may or may not constitute your disaster recovery site) is hotly debated. There are two predominant schools of thought at the moment. The first is to choose a colocation facility close enough to your primary site to allow your IT personnel to be able to get there quickly in case of an IT emergency. The second is to have multiple redundant network options to reduce latency and price. If your colocation site is strictly for disaster recovery purposes, another thought is to choose a data center far enough away from your primary site and major population centers that physical destruction (such as natural disasters, weather outages, or man-made calamities) will not impact your business continuity or data redundancy. If you have inherited or built an IT infrastructure in your business, you are already aware that a “clean sweep” transition from in-house to a complete managed services solution is not always a possibility. Existing contracts, legacy systems, and personnel are expenditures and investments to which you have already committed. It is because of this and the growing needs of your business, that you might keep your colocation facility close. Installing OSs and other software, installing equipment and configuring, and even running simple audits all require hands-on help and eyes on your equipment to keep these legacy systems up and running and meeting your business needs. If colocation is part of your disaster recovery strategy, your people need to be able to arrive on-site to perform annual disaster recovery exercises and implement failover and failback of operations in a worst-case scenario. Bear in mind, in the event of a disaster, air travel may be compromised. The time it takes to get to a remote facility adds to the time before your IT people can restore service. The cause of your primary site going dark may impact your team’s ability to travel. In situations of widespread disaster, communication lines will be unavailable, as well. Planning for the worst contingencies will make the lesser ones much easier to ride out. Nothing drives the point of need for physical separation of primary and secondary IT operations like a major catastrophe. In disaster recovery planning, business continuity is viewed in terms of Recovery Point Objectives (RPO) and Recovery Time Objectives (RTO). Proximity may decrease your time to recovery if you have to get your team onsite to transition back to the production environment, but what if you have your data center is too close? A major event can take both down simultaneously. Losing all of your data is not an option. When evaluating your disaster recovery strategy, latency remains a factor. No matter your configuration, most storage systems have hardware that requires low latency for synchronous replication between data centers. This synchronous replication means transmissions are limited to the speed of light when it comes to how fast your data travels back and forth, which sounds fast, but when you are talking about Terabytes of data, it isn’t. 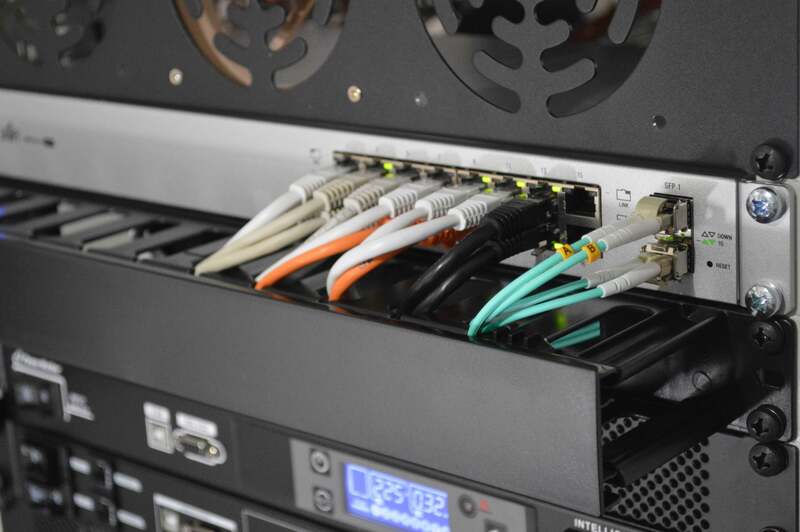 However, if you have a colocation provider that has Fiber connectivity between data centers, such as LightEdge, the speed and reliability is dramatically improved. Most non-technical companies will not have the budget or resources to provide their own fiber solutions, and will need to rely on non-owned solutions. Gartner, the global leader in IT research and advisory cautions: “At more than [60 miles], even with tuning capabilities, latency issues will begin to impact performance and make synchronous or active/active recovery model unrealistic.” If your RPO & RTO needs mandate synchronous replication, this will limit your options. In major urban centers, you have tier-one costs. Traditional internet hubs like New York, Northern Virginia, Silicon Valley, Los Angeles, and Chicago are teeming with data centers and skilled workers, but at a cost. In recent years, there has been a push to expand to the tier-two markets like Denver, Kansas City, Austin, Raleigh, Des Moines, and Omaha to maximize coverage, as well as, to keep down costs. Salaries for skilled IT workers, real property costs, energy costs, and other operating expenses are lower in these areas than in the bigger markets. Since cost-of-living is more affordable, many of these secondary markets are growing in talent pool and newer technology. Quite simply put, the cost of doing business is lower for the colocation providers there, and these savings are passed on to the customer. The drawback in some smaller markets is a smaller pool of top-tier talent to recruit from. Bottom line, there is no absolute answer. Prior to deciding where your colocation partners’ data centers need to be, you need to look at the pros and cons as they relate to your particular situation. Determine whether you are looking for the basic package of power, ping, and environment, or more hands-on assistance with the ability to move away from a CAPEX model by adopting other managed services instead. Then look at what your needs for RTO and RPO require in terms of latency and connectivity. Assess the actual cost of doing business in the place you are looking at storing your data and the potential impact of disaster. Find out who is offering the level of service, security, and environment your business requires in the markets that make the most sense for your success. You’ll find a solution and a partner that fits your current and future needs. Finding a secure colocation provider that meets your proximity requirements will allow for you to grow your business without fear of interrupting your mission-critical infrastructure. Data center colocation providers protect your data in the case of an emergency. They do so through their physical building location and design, security tools, and compliance expertise. Evaluating providers based on location, multi-factor authentication, redundancy, expert support, and ROI will ensure your investment will yield the greatest benefits. LightEdge has secure Hybrid Solution Center locations at our Des Moines, Kansas City, Omaha, and newly acquired Austin and Raleigh data center facilities. With-top-of-the-line physical security features, customers can be sure their data, hosted in our compliant cloud, is protected to the highest extent. LightEdge has carrier neutral facilities with the ability to deliver high bandwidth, high reliability, and low latency service. LightEdge also offers the flexibility of hybrid cloud solutions that blend direct access between public clouds and LightEdge’s private cloud solutions. In addition, LightEdge provides its customers with a risk-free compliance assessment from our Chief Security Officer and Chief Compliance Officer, Jake Gibson. Jake is always free and available to all our customers when it comes to meeting security standards. On top of our compliance experts, we have 24/7/365 support from a live technical expert. If you are interested in getting a tour of any of our seven Tier III compliant data center facilities, contact us here. We have data center experts standing by to answer any of your questions.